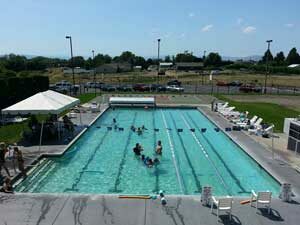 Yakima Athletic Club aquatics center is an indoor/outdoor facility. A 5 lane, 25 yard shallow water pool (3.5 ft to 4.5 ft) provides a forum for lap swimming, aquatics classes, therapy, swim lessons and family recreational swimming. We have a full staff of American Red Cross certified lifeguards, WSI swim instructors, and certified group aquatics instructors along with a full schedule of events. Our goal is to provide at least one lane available for lap swimming during our operating hours. Our Aquatic Maintenance staff holds a Certified Pool Operator certification and we operate in compliance with the Yakima Health District renewable on an annual basis. 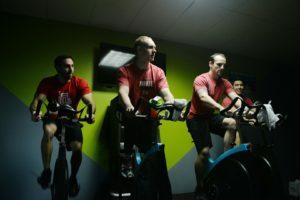 Yakima Athletic Club and YAC Fitness offer the best group fitness programs in Yakima. 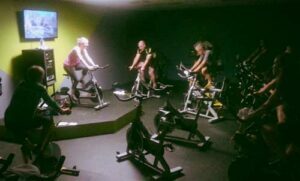 Our instructors are top-notch and professionally trained to provide you world class group fitness! We have over 60 scheduled classes between the YAC and YAC Fitness to accommodate your busy schedule. Come see how BODYPUMP, BODYSTEP, BODYFLOW, RPM, BODYCOMBAT, BODYATTACK, and BODYVIVE can improve your fitness. The Yakima Athletic Club and YAC Fitness provide the very best in weight and cardio equipment selection, including: Treadmills, Self-propelled treadmills, PreCor EFX’s (ellipiticals), Lifecycles, StairMasters, StepMILLS, Rowing, and Versa Climber. Along with our Cardio Theater, you can enjoy your favorite music or TV show on your own exercise equipment or browse the internet! 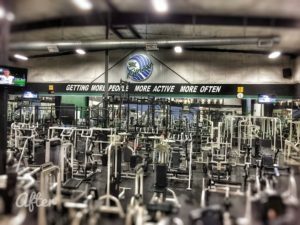 The facilities also house a complete and updated selection of the latest in functional weight equipment to allow for optimal weight training. 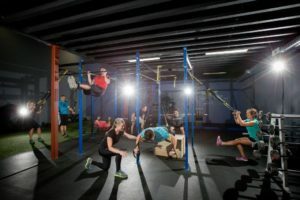 There is no longer an option for men or women to NOT participate in weight training. We know we can combat the threat of osteoporosis through regular weight resistance training. A few sessions with a Personal Trainer can help you prevent this disease and you will reap wonderful health benefits along the way. To continue to meet your fitness needs and increase the value of your membership, the Yakima Athletic Club and YAC Fitness adds new selections of equipment to the cardio floors annually. 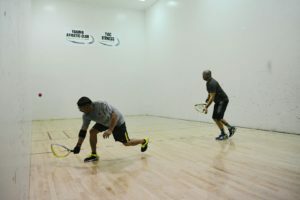 Newly renovated racquetball courts now is home to our group personal training. 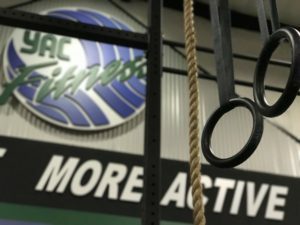 Turf, ropes, kettlebells, sleds, dynamax balls and more to workout with. 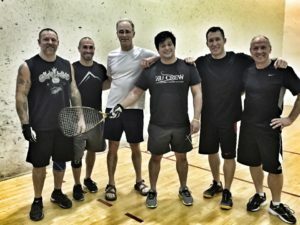 The two racquetball courts at the Yakima Athletic Club can be reserved by members for play. Court surfaces are beautifully remodeled - Play is on! 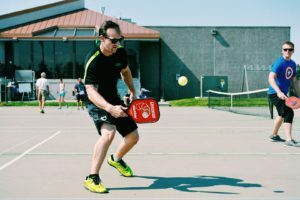 The Yakima Athletic Club offers two outdoor tennis courts, The courts are also lined for pickleball, a sport anyone can play. 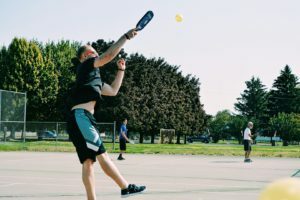 Come to the Yakima Athletic Club to enjoy a day in the sun - a game of tennis with a dip in the pool. In addition to enjoying our fitness facilities, at the Yakima Athletic Club you can also enjoy a relaxing soak in the Jacuzzi/hot tub, and an invigorating time in the sauna or steam room.